I don’t know about ya’ll, but I really love doing these weekly favorites! I love finding new bloggers to follow, and seeing all of the creativity out in the blogosphere! Remember, if you like something you’ve seen here, be sure to show that blogger some love! And, as always, pin from the source, not from this post! Happy Weekend! First up are these rustic cutting board turned wall art. What a great idea!! You could even give these as a personalized gift too! 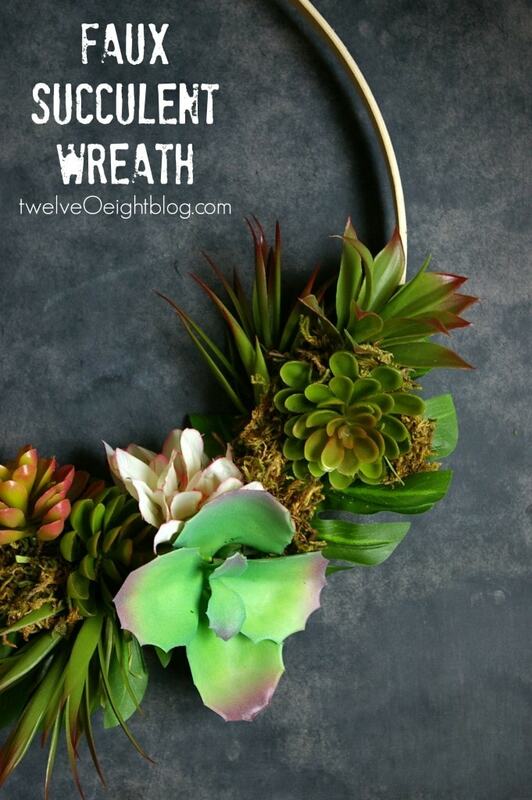 I am a HUGE fan of succulents, so this wreath is totally up my alley. I could see something like this on my front door year round! 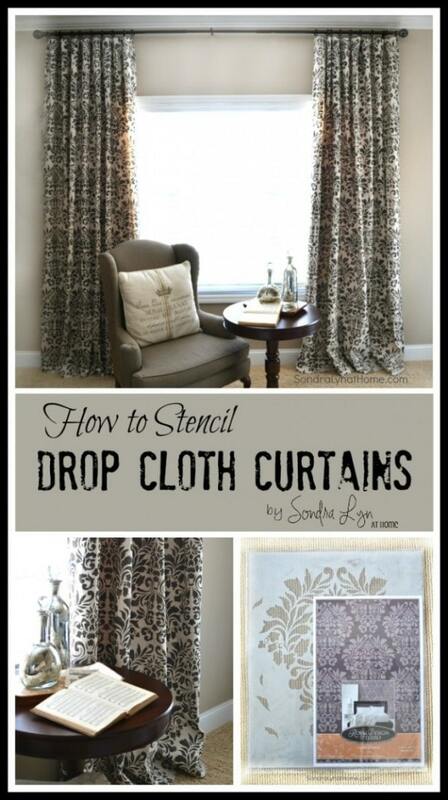 First, what a genius idea to use drop cloths for curtains, and second, stenciling them? Didn’t these turn out amazing?! 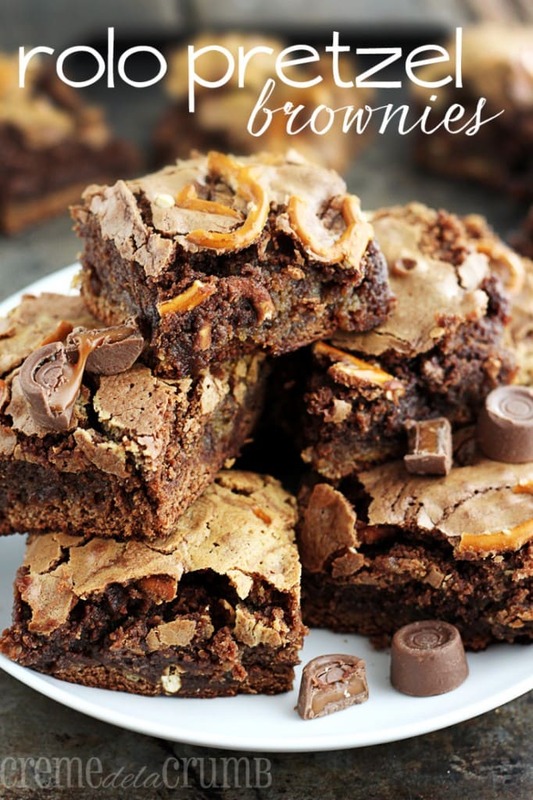 I may have just picked up a bag of clearanced out Valentine’s Day Rolos specifically for this recipe. Yum! Just when I’ve talked myself out of a Silhouette, I see something like this that makes me want one all over again! This St. Patrick’s Day art Erlene made is so adorable and easy too! Not only are these cupcakes cute–but you add the malt powder too? Can’t wait to try these! These are awesome creations! Thanks for sharing these and spreading some blog luv! Thanks so much for sharing my Faux Succulent Wreath Amanda!! You’re so welcome! Love it! Thank you ever so much for featuring my stenciled drop cloth curtains! 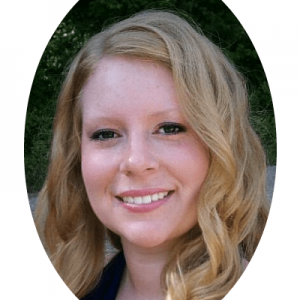 I’m so delighted to find your ink party – thanks for hosting!! Of course Sondra! I am so in love with those curtains.